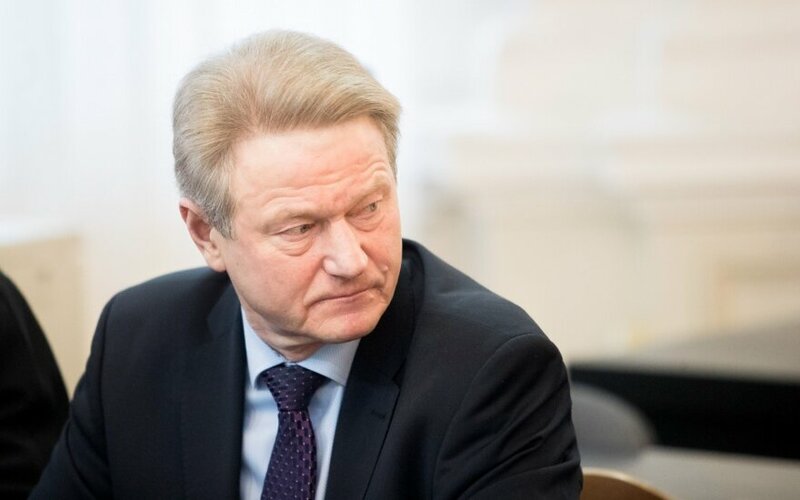 Lithuania is likely to be faced with some harsh words from the court in Strasbourg in two weeks, having not enacted the court's ruling over impeached president Rolandas Paksas' rights for seven years. Jurists believe that if our country ignores the warnings once again, it may be faced with sanctions, Lietuvos Žinios writes. Impeached president R. Paksas' "rehabilitation" has not gained traction in the current Seimas, which has now worked more than a year. The calls of European institutions being addressed to Lithuania to allow the impeached politician to participate in Seimas elections have been disregarded by Lithuanian politicians. As such, the Committee of Ministers of the Council of Europe, which is to enter session on March 13-15 and oversees European Court of Human Rights rulings, is set to return to R. Paksas' matter once again. "I believe that we will receive a very specific warning – either we do something or we will be met with sanctions. This would mean that Lithuania is not fulfilling its commitments based on the convention. This news would spread across the European Union, Organization for Security and Co-operation in Europe, the United Nations," government representative to the ECHR Karolina Bubnytė told Lietuvos Žinios. The Seimas Legal Affairs Committee is promising to finally take up R. Paksas' issue – a constitutional amendment. The respective project is to be discussed during the spring session, which is to begin on March 10. However, MPs do not hide that they have little expectation for this story to reach a conclusion just yet. According to K. Bubnytė, the Committee of Ministers does not pass resolutions immediately, only setting out a deadline for the implementation of ECHR rulings. "There are people there who know our Constitution well, who understand that politicians make decisions only during the Seimas sessions. I believe that the deadline to do something specific could be set to be by the end of the spring session. It is certainly possible to at least present the project over the entire session. It would be viewed as an active step by the state," K. Bubnytė said. She noted that over a number of years, the wording from the Committee of Ministers has shifted. In December 2016, Lithuanian efforts to implement the Strasbourg court ruling were noted and encouragement to act more intensively was stated, "To ensure implementation without further delay." In June 2017, the directive to act more intensively was stricter. K. Bubnytė believes that the urging to be expressed in mid-March can be viewed as a direct threat to pass the resolution. "We have nowhere to retreat," she emphasised. At the same time, K. Bubnytė pointed out another aspect. In her words, if the ECHR ruling is not implemented, room for speculation and blackmail appears. "We criticise our neighbours for certain issues and they respond – look at yourselves. Our diplomats would need to struggle a great deal, if the resolution was reached," K. Bubnytė said. Seimas Legal Affairs Committee chairwoman, "Farmer" Agnė Širinskienė assured that the constitutional amendment project will be included in the committee's spring work plan. "You know well what the ECHR ruling is, it needs to be implemented. What is a different matter is when it will be done. Many MPs have to vote for constitutional amendments, thus I cannot predict anything. I understand the political sensitivity of this question, the committee will definitely present conclusions in the spring session, which will be taken to the plenary meeting hall," she said. The committee chair believes that the current constitutional amendment project "is one of the possible means of regulating this question." "I am aware that the other groups in Seimas may have varied opinions. It may be that alternative projects will appear," A. Širinskienė mentioned. She was not certain that the amendment would be passed during this Seimas term. "Constitutional amendments are the responsibility of the entire Seimas and not just the majority," the MP said. Deputy chairman of the Legal Affairs Committee, Conservative Stasys Šedbaras also lacked optimism. "There is always a risk over constitutional amendments. If even a part of MPs are in favour, there is always the risk that one or two will be left "outside the door". If the majority is not interested to allow another competitor to enter just before the upcoming electoral marathon, everything is possible," he said. In order to amend the Constitution, the amendment must have the support of no less than 94 MPs twice. The constitutional amendment projects are deliberated on and voted on in Seimas sessions twice, no less than a three-month break must be held between the two votes. The constitutional amendment project, which could pave the way for R. Paksas to run for Seimas, has been "inherited" from the previous term's Seimas. While it was included in the work programme of all sessions so far in this term's Seimas, it was never actually presented. The conservatives registered as the authors of an amendment registered in Seimas propose that an individual who gravely breached the Constitution or broke their oath to the state and was impeached by the Seimas or lost their MP mandate, would be unable to run for president. Such an individual could be elected member of Seimas, however no earlier than 10 years after impeachment or withdrawal of MP mandate. It is also proposed to establish that such an individual could not be elected Seimas speaker or vice-speaker. The amendment, which was unsuccessfully presented last term, also specified a 10 year limitation, however had no mentioned of barring such an individual from running for president. The Conservatives emphasised that if such an individual can run for Seimas, there are no obstructions for them to seek the post of president. To R. Paksas' knowledge, the Committee of Ministers meeting, which is to be held in mid-March, is likely to be significantly more active than previous ones. The MEP states that the institution has been provided information on how Seimas, despite intending to, did not deliberate the question. "Sooner or later it will be resolved. I do not believe that I should have a headache over it. It is a problem for the state, it must implement court rulings. I hope that the new recommendations will encourage action," R. Paksas said. The politician also stated he was aware that a UN committee plans to return to the issue. Four years ago, it concluded that R. Paksas' political and civic rights must be restored. "I apologise, but I will tell MPs harshly – change it, shift around the Constitution as you will. The ECHR has stated clearly – my rights have been breached. The rights of Lithuanian voters have also been breached because they cannot vote for whom they will," the MEP stated. According to R. Paksas, around thirty civic organisations around the world are prepared to fight for his rights. "The message will spread that Lithuania is lecturing others how to live democratically, however for seven years it has not been able to implement one specific court ruling," the politician said. He stated he is not yet considering the possibility of participating in the 2020 Seimas elections. R. Paksas has been prohibited from participating from participating in Seimas and presidential elections since 2004 when he was impeached from the post of president. The Constitutional Court has ruled that an individual who lost a post, which requires a constitutional oath, through impeachment loses the right to be elected to such a post permanently. The ECHR ruled in 2011 that the prohibition to participate in Seimas elections for life is disproportionate and breaches the European Convention on Human Rights . 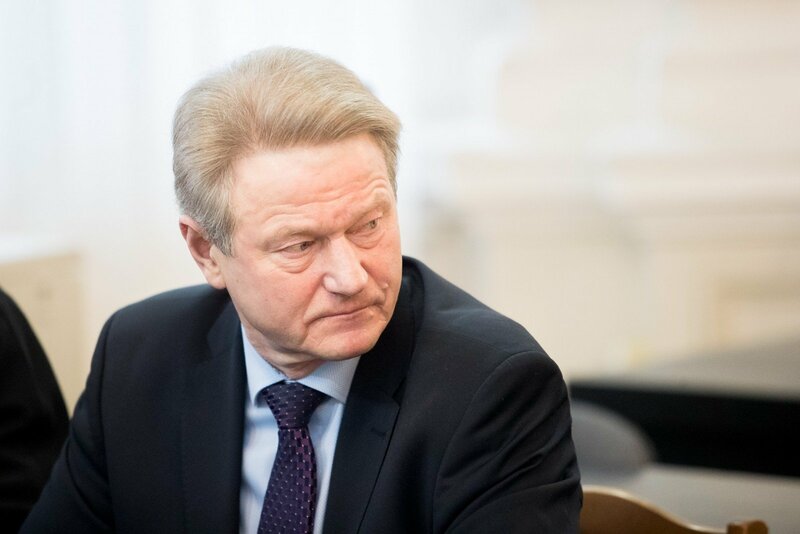 A UN human rights committee concluded in 2014 that Lithuania breached R. Paksas' political rights and urged to remove the notion that bans impeached politicians from running for president, obtaining the posts of prime minister or minister. The Constitutional Court has ruled that R. Paksas can only participate in Seimas elections if there are changes made to the Constitution. So far, votes have not been found in the Seimas to pass such amendments. Currently R. Paksas is a member of the European Parliament. In October 2016, he withdrew from the post of Order and Justice Party Chairman. Last June Lithuanian law enforcement charged R. Paksas with suspicions of peddling influence. It is suspected that in 2015, as chairman of his party, he promised and agreed on a 15 thousand euro bribe. For this, he promised to influence state institutions and officials.